Now that we have created a basic unconfigured StoreFront deployment we will have a look at the features and options we can configure. 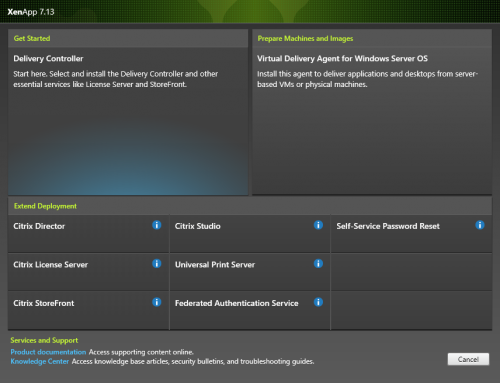 Start the Citrix StoreFront Console. 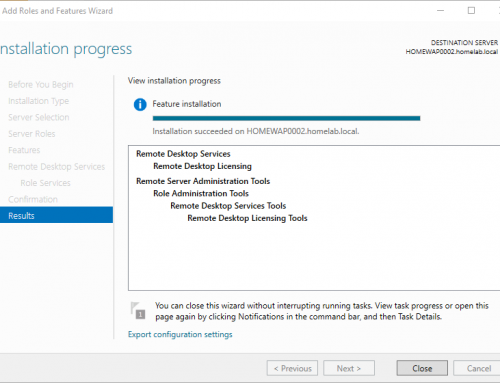 When you want to join a second StoreFront server to your deployment you need to start the “Add Server” Wizard. In this process a security token is shown on the first StoreFront server and you need to type the code on your second server in order to join it successfully. If for some reason you need to change the Base URL for your deployment you can do it here. All Stores and StoreFront services are affected by this change. If you use a server group Citrix recommends generating new Security Keys from time to time. Users authenticated to Stores then need to reauthenticate. We need to configure the Authentication service. Username and password is configured automatically. Additional Authentication services need to be added separately. Pass-through authentication with Active Directory accounts. Don´t forget to install the Receiver with pass-through enabled. The IIS on the StoreFront server authenticates the users. NetScaler Gateway authenticates the users. You can create as many stores as you need. You can create a store for a particular group of users or to group together a specific set of resources. You can also create an unauthenticated store that allows for anonymous, or unauthenticated access. Choose this option to create a new Store. This creates a Store for anonymous access. Please be aware of the fact that in StoreFront configurations where the web.config file has been configured with the parameter LogoffAction=”terminate”, Receiver for Web sessions accessing this unauthenticated store will not terminate. 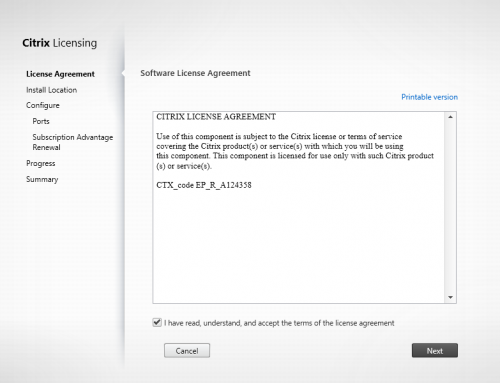 To ensure these sessions terminate properly, the XenApp server being used by this store must have the Trust XML requests option enabled as shown in Configuring the Citrix XMS Service Port and Trust. 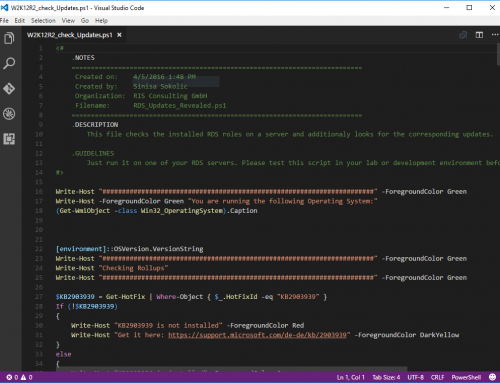 We can generate files containing connection details for stores, including any NetScaler Gateway deployments and beacons configured for the stores. Users can then configure their Receiver automatically with these files. We can edit the list of DCs here. Here we can enable Remote Access with the options mentioned above (None, No VPN tunnel, Full VPN tunnel). We can enable or disable User Subscriptions. If we want users to subscript to applications before using them we should enable the setting. If we want all user to see all of the available applications we should disable it. We can choose to show or hide the GoTo Meeting products in the Store and what happens when users add one of the three Products. I would disable them, if they are not needed. Here we can export an Provisioning file for the automated Citrix Receiver Setup. If we choose to export the file a ReceiverConfig.cr file is saved to a location you can choose. Use this task to add Receiver for Web sites, which enable users to access stores through a webpage. We can create a new Website at this point. We have to choose an available Store and assign a Website path. Choose User name and password, Domain pass-through, Smart card or Pass-through from NetScaler Gateway. If we like we can add additional application shortcuts to the Receiver for Web site, e.g. corporate websites. If there are multiple Stores available we can switch stores at this point. We can set the HTTP session timeout for Receiver for Web. This option should also be self explaining. Be sure before hitting the buttons. NetScaler Gateway is unconfigured until we enable Pass-through authentication in the authentication tab. Beacons are URLs in the internal or external network. 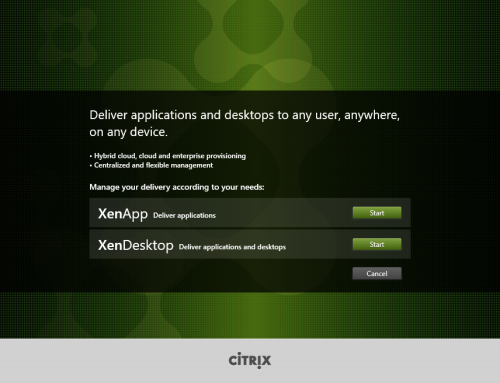 Citrix Receiver attempts to reach the Beacon Points in order to check if the user and his device are connected internally or from outside the company network. If internal URLs are not accessible the Receiver then tries to use the NetScaler Gateway to connect to resources. By default, StoreFront uses the server URL or load-balanced URL of your deployment as the internal beacon point. The Citrix website and the virtual server URL of the first NetScaler Gateway deployment you add are used as external beacon points by default. If you want to create some Beacons choose “Manage Beacons” on the right side. Do not forget to assign the appropriate Certificates to the StoreFront servers and change the bindings in IIS in order for HTTPS to work.